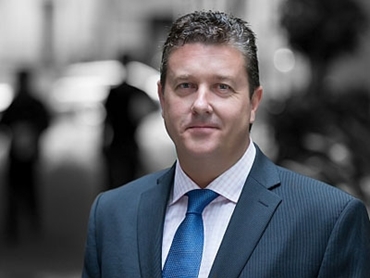 Rob Stummer, Managing Director, IFS Australia and New Zealand refers to a McKinsey Quarterly article he read recently, which talks about many of the same sort of productivity improvements that IFS is working with its customers to achieve. Are you ready for the resource revolution? by Stefan Heck and Matt Rogers, is based on their new book, Resource Revolution: How to Capture the Biggest Business Opportunity in a Century. The article extrapolates out from trends already being seen to a near future where the rate of annual productivity improvements is far higher than today. Apart from new technology such as IT and nanotechnology that will enable higher rates of productivity improvements, the article points out that there are a number of resources whose consumption cannot be sustained to meet global demand fuelled by the growing middle class in places such as China and India. Annual productivity improvements in energy, for example, will have to rise from the 1.7% recorded from 1990-2010 to 3.2% from 2010-2030 to meet global demand. Improvements in water productivity will need to rise from 2.5% to 3.7%. Even material productivity, which only increased at 0.8% per annum from 1990-2010, will need to trend upwards to 1.3%. Opportunities abound to create these sort of above trend productivity improvements given current levels of resource inefficiency and waste. The article is full of examples of how organisations can apply technology right now to improve their business productivity, such as how UPS reduced fuel consumption and travel times by avoiding turns against the traffic. IFS has also found that almost any organisation operating significant vehicle numbers, or whose vehicles travel long distances, can benefit from mobile technologies by tracking and optimising routes and schedules. Organisations can benefit from two key technologies that can be combined to lay the foundations for future productivity improvements and reduce the risk of being left behind by competitors. One is the capability of modern enterprise software to capture, analyse and report on all aspects of an organisation’s operations to run the whole business. The other is the ability of mobile computing devices to fill in the information gaps that exist in almost all organisations, and which hamper them in achieving a global view of their operations and making use of the information they have to make decisions. Mobile devices with inbuilt GPS can now run business apps for work orders, fault reports, route planning, workforce scheduling and optimisation, among many other things. Real-time communications improve decision making around when assets need to be repaired or replaced, for example, or whether there are too many people on site. Smartphones can be used to create incident reports, including photos, geospatial data and other information and automatically sent to a centralised enterprise system to coordinate a response. In the oil & gas industry, for example, workers in remote locations regularly use ruggedised computing devices such as tablets to access centralised information stores and feed updated information back to head office so decisions can be made in real time. The flipside to all of this, however, is that organisations, which are not working towards achieving a single view of their operations and exploiting mobility will be threatened by the inevitable trend towards resource productivity. Such organisations will lack the agility not only to be at the leading edge of the resource revolution and drive increased profits, but also to adapt to the increasing rate of change in the business environment. If an entire industry moves over to localised 3D printing of spare parts, for example, what happens to companies that don’t have visibility into what spare parts they consume and where they are located? Or if an industry rapidly moves to create a market, which makes the spare capacity of idle equipment available for rent to third parties, what does this mean for organisations that do not have precise visibility of their equipment? Organisations that have fallen behind the pace of mobile device adoption will also find themselves with a workforce that is poorly equipped to adapt to rapid change. It’s not just the ability of mobile devices to exchange information with enterprise systems that is important. It will be increasingly vital for an organisation’s workforce to be able to use mobile devices on the job and adapt to the cultural change that goes along with it. In the end, it really doesn’t matter whether the organisation intends to drive profits from increased resource productivity or just seeks to be agile enough to survive and prosper in the new business environment. Either way, maximising the potential of enterprise software and getting the most out of mobile technology will put the organisation on the right path.